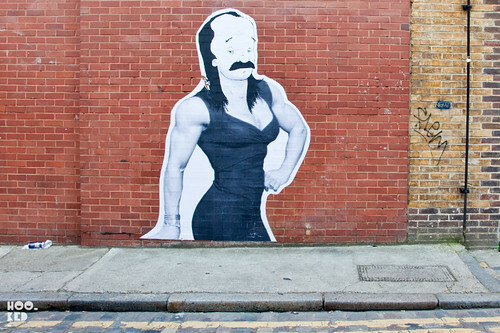 The last few months have seen an influx of Australian street artists passing through London, each leaving their mark on the city. Everfresh crew member and street artist Rone was in town back in January and again in April working on this mural in the Old Truman Brewery. This month has seen a visit from Australian graffiti/street artist Lush who has been hitting London and Brighton hard with a series of typographic pieces across the two cities. 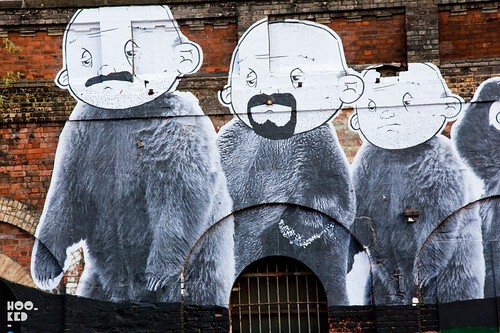 We have also spotted new street artworks from artist HAHA and Numskull who has collaborated on a number of pieces with UK street artists Mr. Penfold and Sweet Toof. 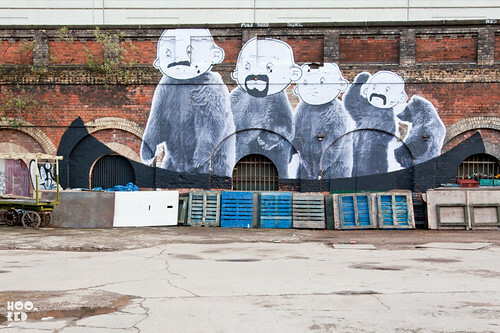 The latest Australian to hit London is Melbourne street artist DRAB, who recently moved from Australia to East London. 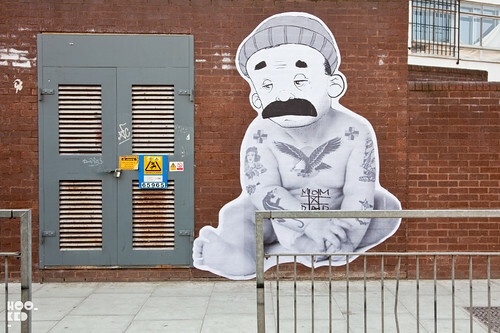 It would appear the artist has already settled in and has begun hitting the streets of London with a series of large scale paste-ups pictured here. It's great to see wheat-pasted paper paste-up of this scale going up on walls in London again and we look forward to seeing more from the artist in the coming month.